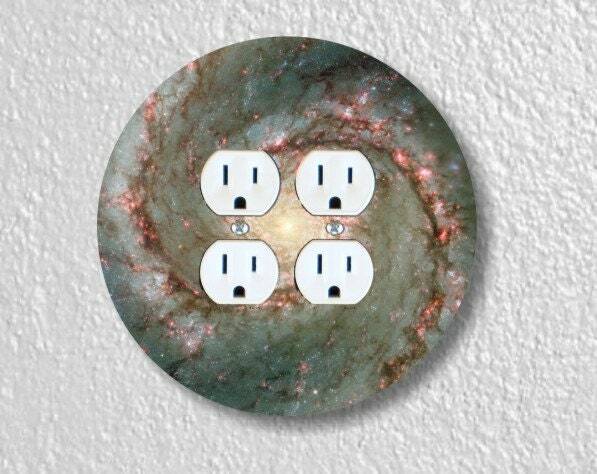 The high resolution photo of the Whirlpool Galaxy is imprinted (not decoupaged) onto this double outlet plate using dye (instead of ink), heat and pressure. The Whirlpool Galaxy is a spiral galaxy located at a distance of approximately 31 million light-years from the Milky Way Galaxy in the constellation Canes Venatici. It is one of the most famous galaxies in the sky. Rapid delivery. A great seller.